Luke has worked for over 15 years with children and young people to ensure their views and experiences inform policy and practice. He is a qualified teacher with vast experience at delivering training and work programmes in areas of disadvantage. 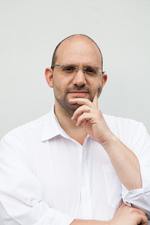 Daniel Sobel is the Founder and Lead Consultant of Inclusion Expert. An internationally respected leader in inclusive education, he has advised the Department for Education, the European Union and governments abroad. Daniel is a well-known speaker, and has written for publications including Headteacher Update, The Times Educational Supplement and The Guardian. He is the author of several works, including The Pupil Premium Handbook and The SEN Code of Practice Pack. Narrowing the Attainment Gap was published by Bloomsbury Press in January 2018 and Daniel’s new book Leading on Pastoral Care was released in January 2019, also published by Bloomsbury Press. Under Daniel’s leadership, Inclusion Expert has grown into one of the country’s most respected education consultancies, which has worked with over 1,500 schools in the UK and abroad. Daniel and his team together share a vision that every child deserves the opportunity to achieve their potential, regardless of need, background or ability. This vision continues to drive Inclusion Expert’s ethos and has resulted in recognition from - amongst others - The Educational Business Awards, The Education Investor Awards and the Teach Early Years Awards. 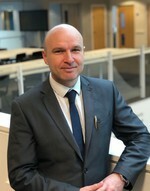 Paul’s aspiration for challenging traditional dispositions to learning in areas of high deprivation is at the heart of his work as headteacher. A front-line teaching head since 2007, Paul has united a multi-cultural community to achieve results within the top 3% of schools nationally. Paul has led 2 Outstanding (2009 & 2014) Ofsted inspections, 2014 NLE status and was a 2017 Headteacher of the Year Award finalist. In a school (almost) without support groups, achieving near-equality in attainment for the disadvantaged requires high quality first teaching, a deep inclusive curriculum, rejecting the notion of “hard to reach parents”. The weekly commitment to teaching to inspire is essential to the ‘TVI sparkle’. Claire is the Deputy Head at Thames View Infants, her passion is early years, inclusion and engaging parents to ensure that every child and their family succeeds. Not a Londoner by birth, teaching in Tower Hamlets in the late 90’s opened Claire’s eyes to the importance of strong parent relationships helping children to achieve. She ran family groups, got adults back into work, ran a play scheme, toy library and ran some of the early “Sure Start” language sessions in her school. Realising that there was a need for greater “joining up” of services and early intervention she took an opportunity in Barking and Dagenham to be a children’s centre teacher in a purpose-built shared care and education setting at Thames View Infants. She became the SENCO for the centre, worked across both the school, day-care and the LA to support early childhood experiences and encourage parental engagement. Soon, after becoming the Deputy Head at TVI, Claire was leading Inclusion and EYFS, running parent workshops, training, celebrations and events, most recently, ‘Cooking with Claire’, all in an effort to join the provision for families up where often, traditional dispositions to learning and “professional agencies” get in the way. 22 years into teaching there’s never been a greater need for supporting all children, their families and the community. Schools are at the heart of the community and for some the most consistent service they engage with. It is our duty to get it right and to do our best. 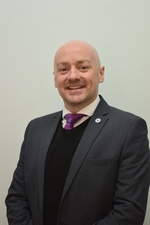 Steven Baker is the Executive Headteacher of two outstanding schools in Merseyside catering for children aged 5-16 with social, emotional and ental health difficulties; he has also recently taken on the leadership of a PRU. His schools use non-confrontational approaches to behaviour management and the secondary SEMH school is a sanction free zone. Steven has held a range of leadership positions and is a former Ofsted inspector. 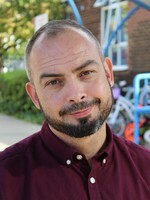 He develops school leaders for Ambition School Leadership and is on the advisory board of the think tank Learnus. Steven currently sits on the panel of judges for the Teaching Awards and works with prisons nationwide as they look to adopt a culture of rehabilitation. Jo has been a primary teacher for the past six years with a wealth of experience throughout key stage 1 and in lower key stage 2. 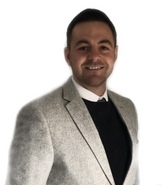 He is currently an aspiring middle leader and the Computing Lead across his school, Eldon Grove Academy. Jo has spent the last several years raising standards in reading as well as the aspirations of children through reading by looking at different approaches using a range technology platforms. Jo has worked alongside secondary schools and across academies in this role. Liam Muir is the Raising Aspirations Lead at Eldon Grove Academy, a primary school in Hartlepool, North-East England. Within school, Liam has created and developed a Raising Aspirations Programme, generating an ethos and diet to provide all children with new and unique learning experiences. Currently working with nine primary school, a secondary school and a further education college: Liam is focused on raising aspirations across the town of Hartlepool through an aspirational thread, running from early years to adult education. Liam, an Ambition Institute participant, is also working on a project team involving Newcastle University and Teach First to create an aspirational and careers skills event for primary schools across the North East. 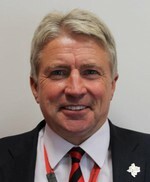 Stephen Holden is the Headteacher of Tottington Primary School in Bury. Having taught for 11 years in a variety of schools, Tottington was his first headship. As a school that was satisfactory over time and then placed in ‘requires improvement’, Stephen worked quickly and efficiently with an outstanding workforce to rapidly improve standards and provision. Tottington Primary is now consistently in the top 5% nationally and is rated good with outstanding features. Through his current work as a speaker, peer reviewer, SEND lead, SSIF lead and Ofsted reference group member, Stephen lives his vision that excellent leadership and rapid school improvement derive from genuine positive relationships. Helen has had thirty years of experience working in education with oversees experience of teaching in Poland and the USA. She is currently Headteacher of St. Mary Magdalen’s Catholic Primary School in the Borough of Richmond upon Thames, Outer London. St. Mary Magdalen’s is a National Support School (NSS) for the National College of School Leadership and is particularly effective in supporting schools with teaching and learning, writing and building ethos and communities. 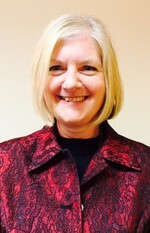 Helen is a National Leader of Education (NLE) for the National College of School Leadership with responsibility for supporting schools in challenging circumstances. 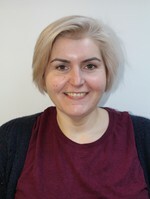 She is also a member of the Archdiocese of Southwark’s Excellence Board and contributor of articles on a variety of educational subjects to Headteacher Update. 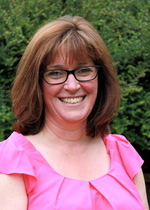 Helen regularly speaks at national conferences and specialises in Pupil Premium and Safeguarding. Dave never dreamt his first bike ride at the age of 13 years old would lead him into 36 years (and still counting) of a life completely immersed in all things cycling. Dave was North East Junior Champion and his love for racing his bike took Dave to competitions throughout the UK, Ireland, France and Belgium. Dave’s sense of adventure took him touring on the bike all around Europe; riding around the Dolomite mountain roads, around the Alps and the Camino de Santiago. At Bike4Health we believe that educating children how to incorporate the bike into their lives is important, and that by introducing them to cycling related activities from a young age we may be able to foster a passion for cycling, whilst also providing them an opportunity to maintain a good level of health and mental wellbeing and develop life skills, gain self-confidence and independence. Working with pupils at many schools such as Morpeth Road Primary Academy, Walkergate Primary and The Blyth Academy, we have developed tailored programmes with these aims in mind. 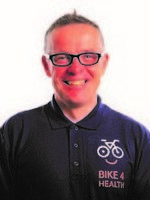 Dave’s passion now is to help enable as many school leaders and pupils as he can to use cycling in their lives. Exploring, commuting and staying healthy. Helen has been at Oriel since it opened in 2004. As an assistant headteacher, she played a leading role in setting up this new school with her role initially including data and assessment whilst leading a quarter of the school pastorally and also being subject leader for science. 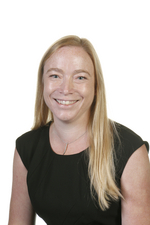 Helen was promoted to Curriculum Deputy Headteacher in 2007 and currently leads on the Pupil Premium alongside curriculum design and implementation amongst other varied roles. The Pupil Premium agenda is one that Helen feels passionately about, and she has led Oriel's Pupil Premium team developing its bespoke and innovative approaches since 2013. 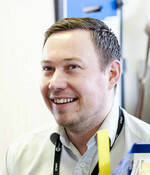 Ryan has been the School Business Manager at Oriel High School since August 2010. Before joining the school, he worked in youth services, further education teaching on both FE and HE courses, and then as a local authority education officer supporting headteachers for 10 years. Ryan is also a governor at a primary school and a Board Member of the Chichester College Group, one of the largest FE college groups in the South East. In 2011 Ryan was asked to improve the school’s work with Pupil Premium funded students. He has found it a very professionally rewarding experience. After an initial period of lecturing in a local College in the Black Country, Pete moved to Manchester in the 1990s to teach music at Wright Robinson College. 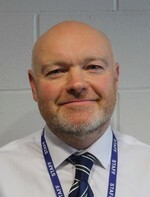 He has been Assistant Headteacher for over 10 years and held a variety of school-wide responsibilities including Pupil Premium, assessment, curriculum pathways, timetable, as well as line managing a number of subject areas, off-site education and SEND. He has a passion for widening students' cultural experiences and ensuring every student has the opportunity to develop to full their potential. Neville Beischer was appointed as the Headteacher of Wright Robinson High School in 1991 and has worked tirelessly with parents, staff, pupils, governors and the local community to raise aspirations and transform the college. In 2016, the college was graded ’Outstanding’. 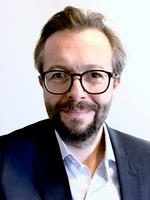 Mr Beischer is a mentor for the Urban Leadership Programme and has worked extensively with the NPQH programme. He provides advice, support and guidance in various schools on school improvement, behaviour management and a wide range of other areas. After nearly 30 years of headship in one of the country’s largest 11-16 inner city schools, Mr Beischer describes himself as a battle hardened urban warrior headteacher. Dr Paulette Osborne MBE, Headteacher of St. Matthew’s Church of England Teaching School Alliance, has had a long and outstanding career as an educator, mentor and inspirational leader in the city of Birmingham. Paulette is an accredited Pupil Premium Reviewer. In 2015, St Mathews was judged as ‘outstanding’ and Paulette was designated a National Leader of Education. Paulette’s work to raise school standards and impact the life chances of generations of young people has been recognised at the highest levels. She was awarded an MBE and an Honorary Doctorate from Aston University in 2016. Julie Johnson has been teaching for over 20 years in mainstream primary schools. She is also an attachment lead teacher with a passion for meeting the needs of looked-after and previously looked-after children who may have experienced trauma and loss. Julie writes articles on how the needs of children eligible for Pupil Premium Plus are often different from those on free school meals and aims to identify and meet the underlying needs more effectively, based on developments in neuroscience. 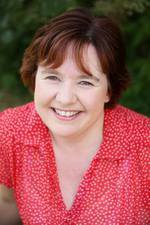 Nicola Marshall is a speaker and published author in the field of developmental trauma and education. As an adoptive parent to three children, Nicola has personal experience of living with the impact of early trauma. She started her training company 6 years ago – BraveHeart Education, in response to the growing need of educators to understand the challenges for vulnerable children within the educational system. Available to speak on topics such as:- education and vulnerable children; the culture of education, emotional wellbeing in children and young people, developmental trauma and attachment, adoption and/or fostering; specifically hard to place children i.e. sibling groups, older children, the adoption process, adoption support, breaking cycles for children who’ve been in the care system, mental health in children and young people. 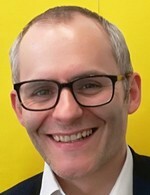 Ben is Vice Principal at Burton Borough School, overseeing the safety, welfare and behaviour of students and the Pupil Premium strategy. 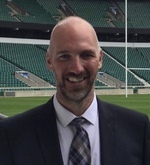 He recently delivered a keynote at a headteacher’s conference in London with a huge focus of this being on inclusion and the development of mental health support, particularly for those who are eligible for the Pupil Premium grant. As a result of his work, the school has virtually eradicated fixed term exclusions, more than halved the incidents of poor behaviour within the classroom and attendance, including that of PP students, has markedly improved compared to previous years.